The fact is that we adults don’t have much room in our lives for fun and games. Our days are filled with stress, obligations, and hard work. We may be stiff, tired, and easily bored when we try to get on the floor and play with our kids – especially difficult switching gears from a stressful day to a time of play! This is where Family Yoga gifts adults their play time. Yes, adults. Kids are wonderful at playing. They’re absolutely the best at it, and we adults need their help! Family Yoga is a time to connect playfully with each other while stretching and plying joints free of stress. That’s for the adults. And for the kids, their delight is in role-playing animals and things from the natural world, and even spaceships, cars, and cycling on the ceiling! – the classic shoulder stand with some cycling action. Their other delight is in goofing about in real yoga poses with mum or dad. Yoga made fun. Yoga made creative. 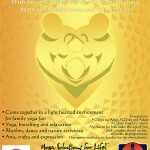 Family Yoga classes function best for kids between the ages of three to eight and for adults of any age. It is especially precious to have grandparents along. After all, youth is about great bright smiles right? And we’ve all got an abundance of those no matter how big or small, young or old. Kids in the three to eight age range are novices in their bodies. They’re not too aware of their breath and how the sensations of the breath and the body affect their mood. It is through engaging the kids in creativity and fun, their natural habitat, that they can begin the learning of the body and mind. And while yoga poses are playful and engaging, mindfulness practices also engage the kids and teaches them resiliency and self-regulation techniques at the same, essential skills for growing into healthy adults. Great mindfulness practices are the rainbow breath – breathing in we draw half the rainbow and breathing out we complete the rainbow, being still by freezing in a yoga pose with the music stops (but still breathing! ), practicing focus and concentration by listening for the sound of the singing bowl stopping before we can move our body again, and providing comfort for others by massaging each other’s feet. All things that can be introduced in the home too! 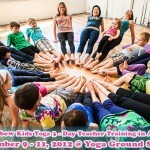 Kids aren’t right or wrong or correct or incorrect in Family Yoga classes. And neither are the adults! To value and celebrate the autonomy of the children, I find it best to encourage the children to lead a part of the class by demonstrating their interpretation of a flower, a dinosaur, or any other pose. Every child, if they wanted to, could have an opportunity to lead a pose. And happy clapping further validates their unique contributions and really makes them grin from ear to ear. Precious. Strengthens the connections and relationships in the family. It teaches grown-up adults how to play! With over 10 years of teaching yoga and training yoga teachers internationally, Rachael Lowe teaches for all people of all ages. 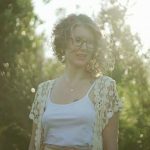 She is passionate about the empowerment of women, men, and children, and offers Family Yoga and Pre-Teen Yoga classes at Yoga on Thorndon. She will be teaching a 7-week Kundalini Chakra Yoga and Meditation course for men and women from 7 May 2018. Instagram: RachaelLoweYoga. Facebook: Rachael Lowe Yoga. Rachael’s website is under re-development. 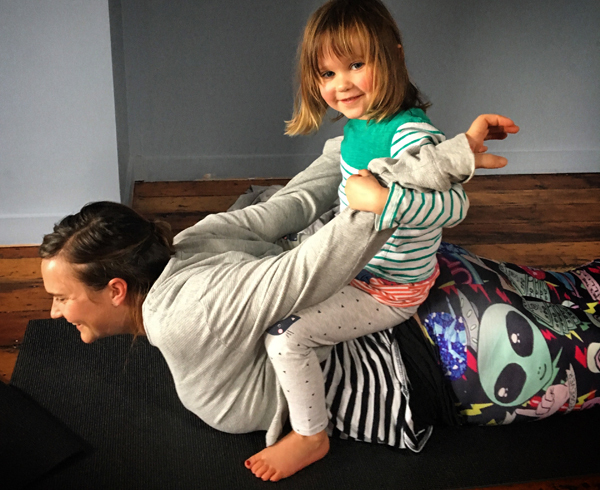 Family Yoga classes are on every fortnight on Sunday’s starting at 1 pm for an hour at Yoga on Thorndon, 202 Thorndon Quay. Bookings are essential: info@yogaonthorndon.co.nz, phone: 021 267 6176.